PPSCV members are free. To pay now, click the link and then choose Guest. The fee $20 under the options menu. To finish, click on the Pay Now button. 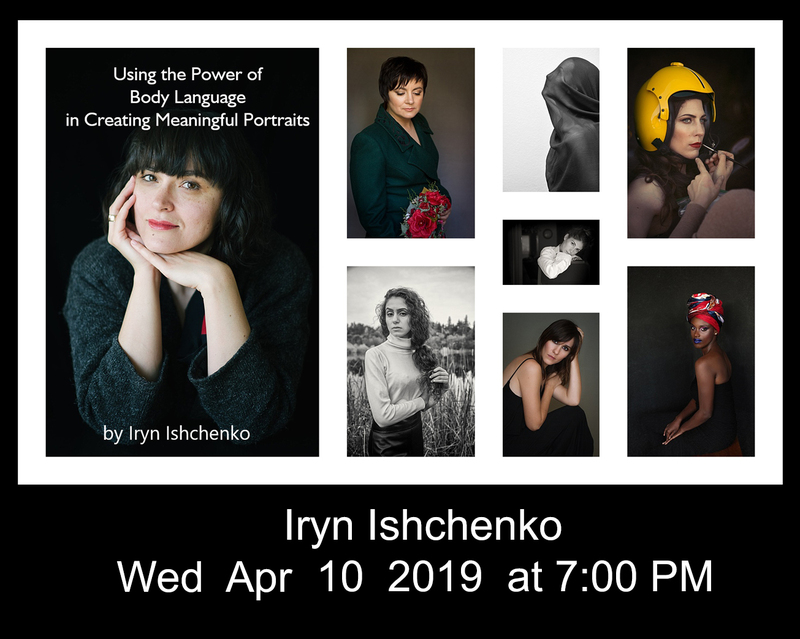 Iryna is a portrait photographer who uses the power of body language to help her clients to convey their messages without words. Demonstrate the basic principles of body language to refine posing. Avoid common mistakes in posing that do a disservice to our clients.